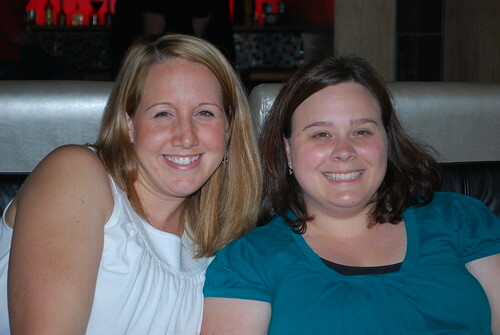 Last Friday, I met up with some friends at PF Chang’s for Girls Night Out (GNO). We really, really needed it. It kinda started off on the wrong foot: we all got caught in a torrential downpour. I was soaked! And it would figure, they didn’t have hand dryers in the bathroom. It was great to catch up (even though I talk to them practically every day, all day). We had a few drinks, ate some great food, and talked and talked and talked. We talked about the usual girl stuff: kids, gossip, good reads. After dinner, none of us were really ready to go home. We decided to take a short drive down the road and grab another drink at a local brewery. The bar was packed so we made our way down to their “nightclub.” I guess it was just opening because we were the only ones there. 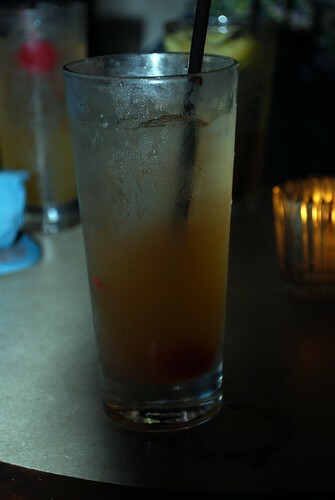 I had the best Amaretto Sour there. I am still thinking about it! I pink puffy heart (pph) GNO! Who wouldn’t have fun with these two? Jenni and I just taking in the scenery. Oh did I fail to mention the “dancers” on the TVs. OMG! That’s all I’m going to say. OMG! 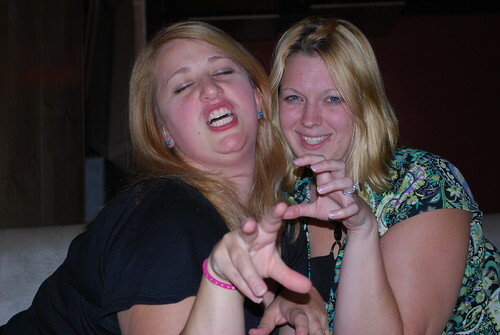 For more “friends” You Capture love, head on over to i should be folding laundry. The happy smiles tell a million happy stories! Beautiful, beautiful photos! Great pictures! I love PF Changs. Please tell me you got the great wall of chocolate! Sadly I did not get the Great Wall of Chocolate. But 2 of my friends did! I kicked myself after seeing it. I got the Red Velvet, which was delish! I LOVE GNO! We don't usually get away from the restaurant to another drinking establishment, though! FUN! Great pictures! You can tell you had lots of fun and enjoy being together. Fun shots! Looks like a great time!